My chosen word for 2018 is “connection”. The definition of connection is a relationship in which a person, place thing, or idea is linked or associated with something else. Over the past few months, I have thought about my word connection. This has occurred during work, when I am thinking about A Place 2B ME, and when thinking of friends and family. Making new connections, rekindling older connections and maintaining current connections encompass my being currently in my life. I have connected with a college roommate that I haven’t seen in MANY years. Also, I was privileged to live with a wonderful family when I was in college and reconnected with them as well. As with many, social media is our way of staying connected. My college roommate and I had connected through Facebook and would often respond to posts shared by either of us. Although we live only a city away from each other, we hadn’t connected. As I thought of my word for the year, I felt we needed to connect outside of social media and Christmas cards. I reached out, and we finally met for a great dinner meal, and shared many fun stories from our past. Then, the family that I lived with during college, was now moving to another state to be closer to their son and grandchild. This is a family that provided great support to me then, and as I was able to provide service to them caring for their young son during that time. A great bond was established. During the years we were able to share some monumental life occasions, their anniversary, milestones in their child’s life, and my wedding. As with time, it sure does get away from us. Being in contact only through Christmas/holiday cards had been the way of communication for the past many years. How exciting that they would make a stop and visit with me. There was not enough time to reminisce at length, but reconnecting was so important and will be continued. While they were leaving and starting their journey to the next phase of their life, it was so touching that they referred to me as family. Even though time, and years get away from you…family is so important. These folks may not be blood relatives but sure are a part of family to me. We are also connected even if loved ones are no longer with us. As I color….I think of my mom and my nephew Thomas. 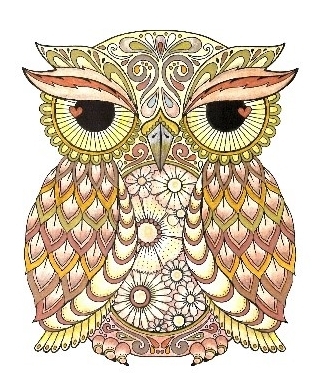 Owls…..I think of family that I lived with when in college, a favorite that adorned walls, pictures and cards. The process of baking…..I think of my dad. The smells fill my memories. Oh, and my grandma. Chocolate chip cookies and cardamom bread. Keeping those connections alive are so important. As my friends help me paint rocks with “Always in my heart”, “Shine” or whatever inspirational saying speaks to us, the joy of remembering and staying connected remains alive. Making connections that are important to you as an individual, those with and without disabilities is the foundation of A Place 2B ME. Not my interests but yours. What are the important connections for you? Do you know? Are you able to express and communicate those desires with others? Let A Place 2B ME help you with the exploration, creating connections, or becoming reconnected. The opportunity to connect with people, choices are out there. Let us help you and others become connected.